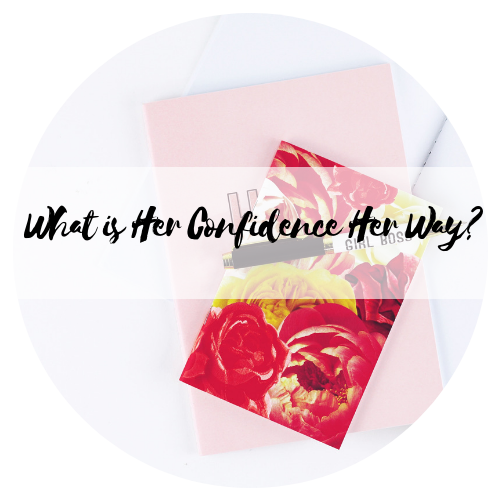 What is Her Confidence Her Way? Her Confidence Her Way is your inner power to say YES to yourself without comparing yourself to others. Her Confidence Her Way is here for you to empower, motivate and inspire to discover your true and unique self. Her Confidence Her Way is your guide to live a purposeful & meaningful life that you love with confidence. 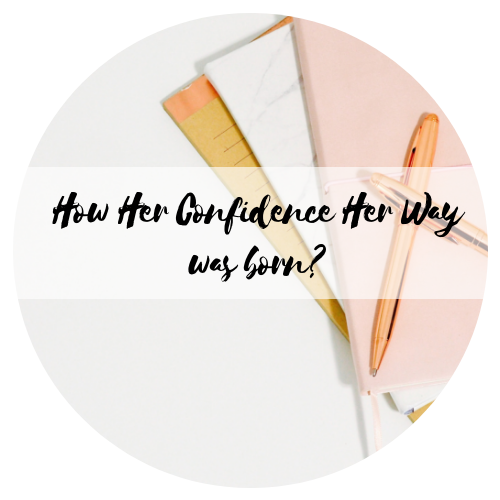 How Her Confidence Her Way was born? 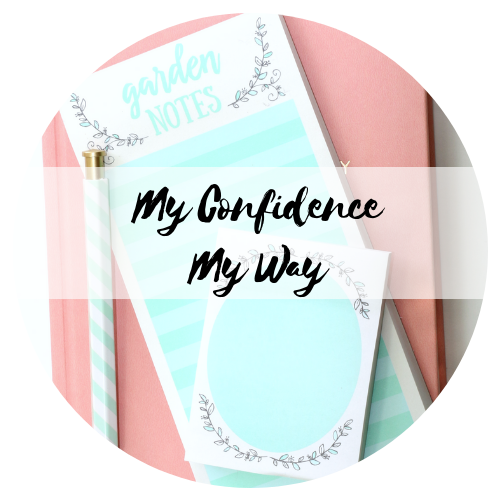 Her Confidence Her Way was born from my own personal experience. Moving to the U.S. and building a whole work-life in a new country, I have faced so many challenges. After going through this lonely journey, I realized that I am not the only one who experience these struggles. I wanted to surround myself with women who can relate to my challenges not just about language barriers but also figuring out my identity as a Japanese woman living in the U.S. But I could not find a community where I can belong so I told myself, why not I create one. Living in the U.S. for over 10 years, I realized the way how I think, speak and behave is highly influenced by the Japanese cultural value. Now, I really understood who I am, I can see and think things from a different point of view and be able to adjust and adapt. I am sure there are women out there who are going through a similar path that I took and I want to help their journey! As a Japanese woman, living in the US, I had struggled a LOT to adjust my new life. Different language, culture, people, food and even fashion style.. you name it! As I reflect my first 7 years in the U.S., I had played small and I had limited myself from so many opportunities. When I was in Japan, I thought I can speak English .. I mean I thought I was amazingly good at it! Then… when I moved to the U.S., my confidence level went down from 100% to 0 %!! I have completely lost my confidence in communicating in English. I was even scared of saying things in English because I thought people are going to make fun of me, judge me and think that I am stupid. I was really in fear of people telling me “sorry, I didn’t understand you…”. During my dark time, there was one thing that I did not forget … which was my WHY. Why did I come and study in the U.S. …. I didn’t want to follow the path that the society laid it out for me. I wanted to challenge myself to be a better and bigger version of me. I wanted to create my own path. I wanted to bring a positive impact to the world. I still face with my own self-doubt but now I know how to talk to my own negative voice. After 10 years of working and living experience in the U.S., I have finally figured it out what I was missing! I would study more and more because I thought I am not good enough. I did not say Yes to the opportunities because I thought I have not experienced enough. I thought I have to work on my weaknesses so that I can be better. I thought I have to hide the area that I felt insecure. 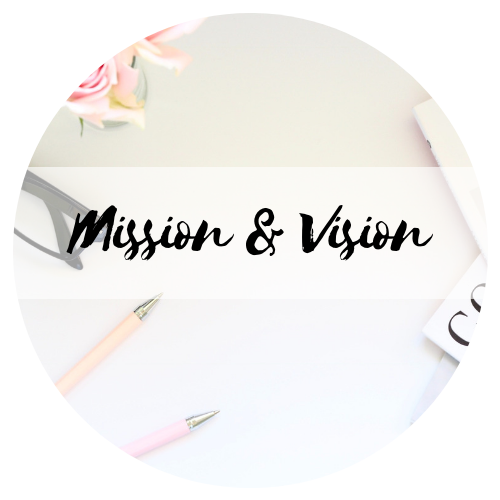 By giving a permission to embrace your true self, I also stopped joining the comparison game with others…. What a bonus point! If you are having any of the conversations above, don’t worry…. I won’t give you a hard time. I understand. I’ve been there and I’ve done it…. I do not want you to play small and limit yourself. Your fear is limiting your life and I don’t want you to go through what I had to go through… I can help you to stop your negative conversation in your brain. 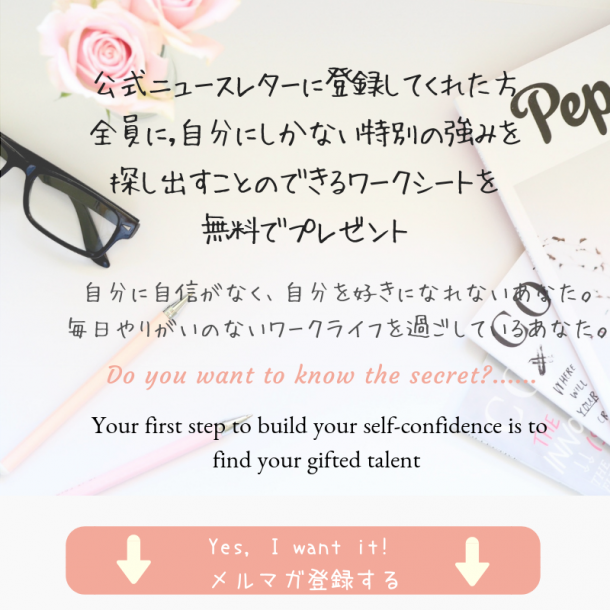 Empower, motivate and inspire Japanese working women to discover their true self so that they can see their own values and help them to build their confidence to create a purposeful and meaningful work-life they love.